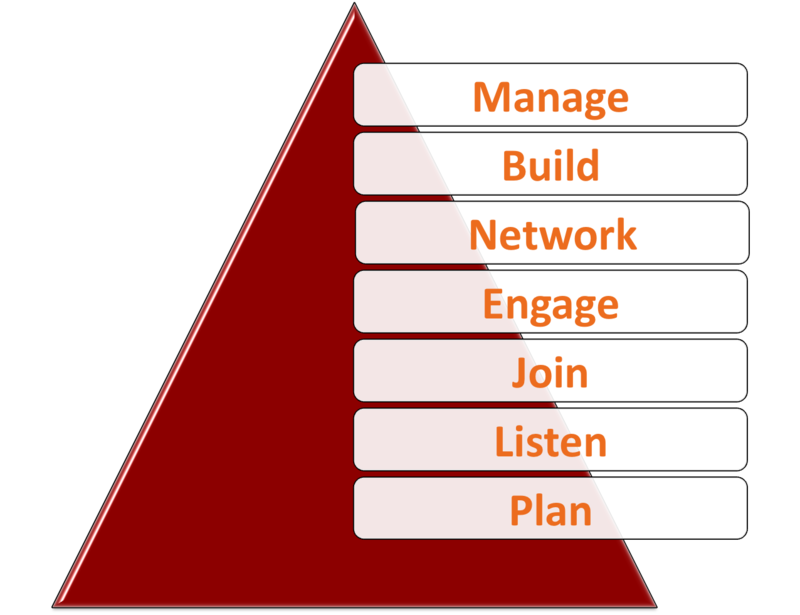 A while back I wrote a post that outlined what I called the hierarchy of social media. In that post I compared the tools commonly employed in social media to Maslowâ€™s Hierarchy of Human Needs. The primary notion being that certain tools were more suited to someone just getting started, meeting basic needs, than someone deeply evolved and more suited to more advanced needs. As the actual social media tools, blogs, RSS, and social networks evolve over time (twitter is more useful when more people use it), I find myself reevaluating my thinking on this point. I still consider there to be a hierarchy in social media, but one thatâ€™s built around actual practices or activities more so than the tools. Until you create a social media strategic plan based on marketing objectives, and find ways to use social media tools to listen and join the conversation going on in your markets, you may find it harder to engage and network and ultimately build relationships and sales through the use of social media tools. I believe the process for meeting long-term marketing objectives through social media is universal, but the tools needed to meet them are not. Twitter may indeed be a primary social media tool for some, while the Facebook platform or a blog is what allows another to progress through these stages. A third organization may find they can strategically move through the hierarchy by integrating every tool in the toolbox with their offline initiatives. Plan, listen, join and grow!